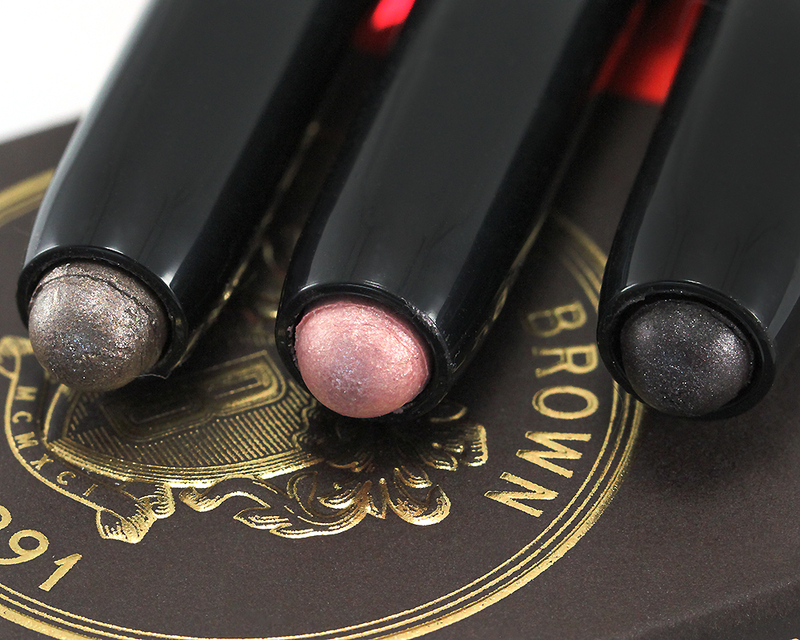 I've been wanting to try the Bobbi Brown Long-Wear Cream Shadow Stick for quite some time now so when I saw this set online, I knew it was time I took the plunge! 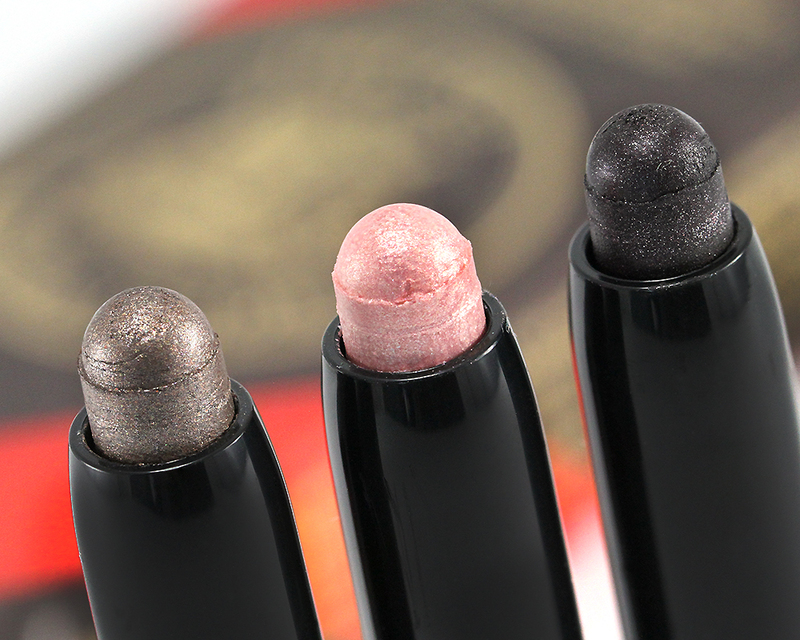 Not only is the set of 3 minis super cute, all 3 colors are limited edition, too! 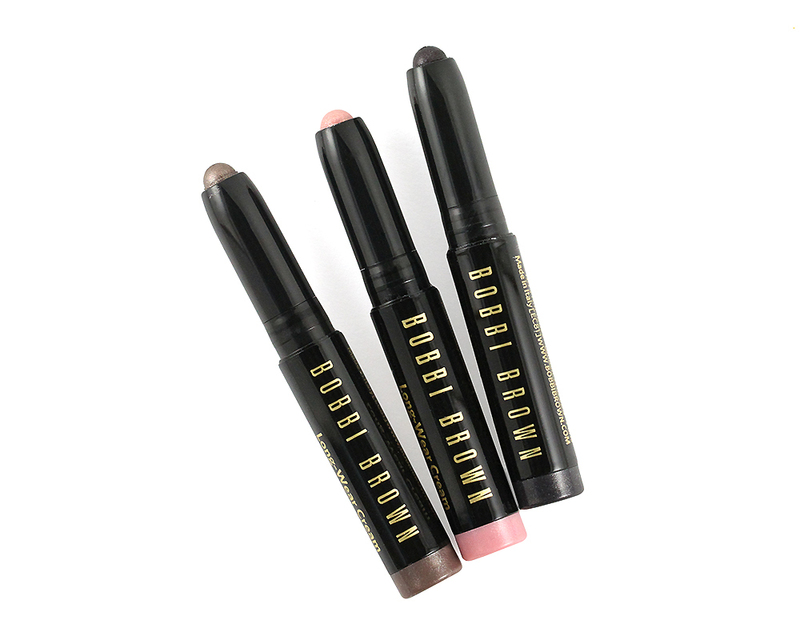 Bobbi Brown Long-Wear Cream Shadow Stick comes in a simple, retractable, twist-up pencil (no sharpening required!) with a color-coded end for easy color identification. I usually store all my cream shadow pencils upright so I can spot the color I want to use right away. The cap closes with a tight snap so these are safe to throw in the makeup bag. 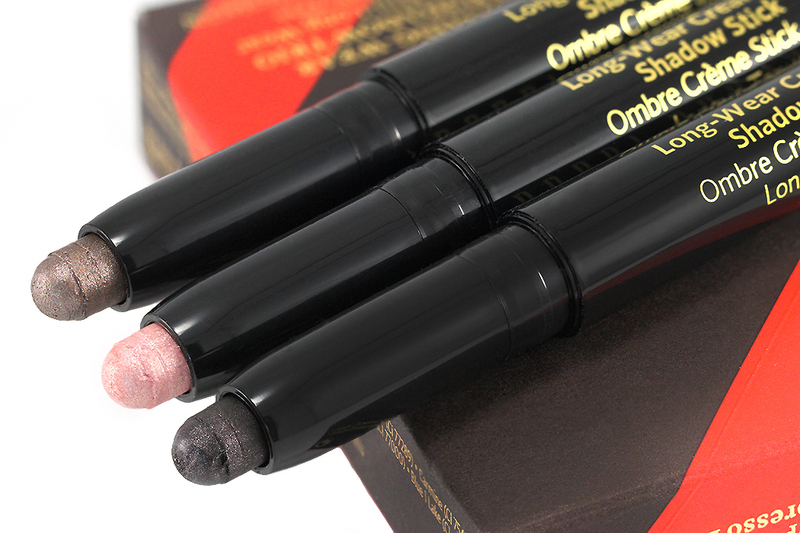 I prefer cream shadows that come in a stick like this much more than those in a jar; they are more convenient to carry and the application is much quicker and does not require a brush. 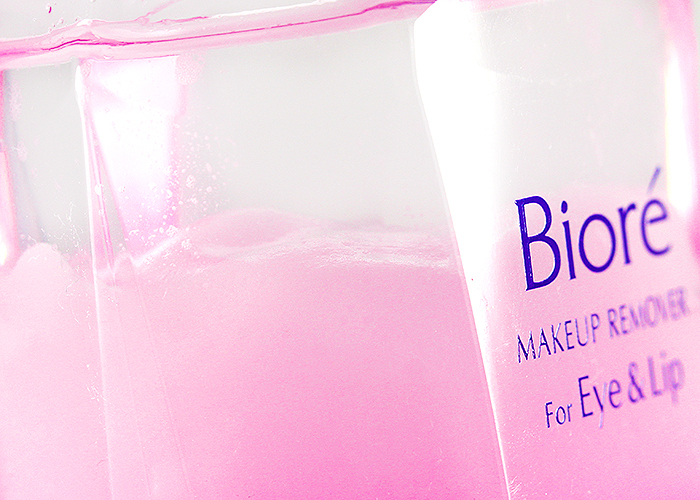 You can just swipe them on the lid, blend with fingers, and you are ready to go. This shade is what drew me to the set! 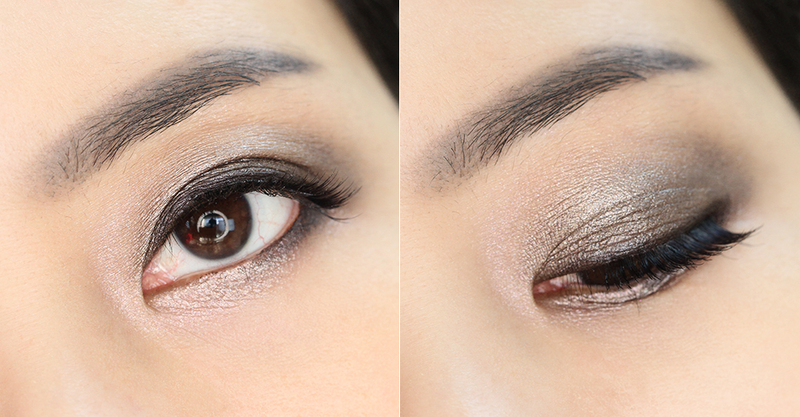 I can never have enough taupe eyeshadow, let alone one with a hint of beautiful mauve! This shade is the easiest to work with compared to the other two since the pigmentation is not too light and not too dark. The texture is just right, too. It goes on smoothly and evenly. It is basically a pleasure to apply. You can swipe it all over the lid as a wash of shimmery taupe, or line along the lower lash line for a subtle brightening effect, or layer and blend for a soft and wearable smokey eye. It is truly one very versatile shade! Light pink is a little hard to pull off in general and now with sparkly particles, too? To be honest, this shade is a little tricky to achieve a smooth and even finish. I usually reserve this shade just for in the inner corner of the eye, a dab in the center of the lower lash line and maybe in the middle of the lid as an accent. This one feels the most slippery and creamy. 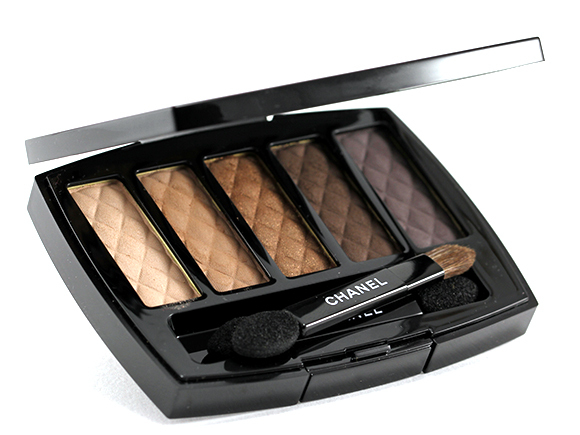 The pigmentation is so high that you only need a tiny dab to get a good color payoff. The application is smooth and buttery but achieving precise placement can be challenging due to the chubby tip. 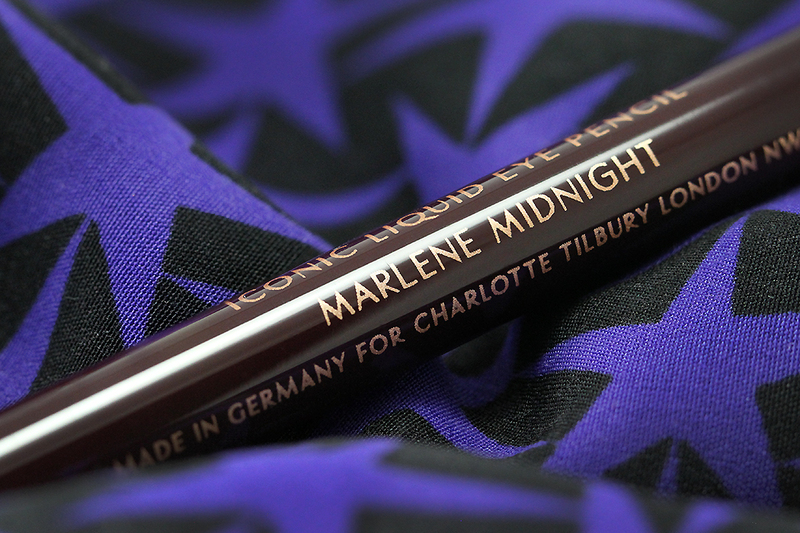 I prefer to use a brush with this shade to smudge or blend and if I were to use it for lining, I'd use a pointed-tip eyeliner to pick up the color directly from the pencil tip and apply to my eye. I find that I can control the thickness of the line better this way. In terms of consistency, all 3 shades glide on easily and I did not experience any tugging or pulling at all. With the exception of Pink Sparkle, the rest two shades apply evenly and beautifully. They go on semi-sheer but can be built for more intensity. I like that the layer underneath stays put as you build and the formula offers an ampule time for me to smudge, blend, and soften to my desired effect without setting too quickly. These are not as long wearing as some other cream shadow pencils I have, though. 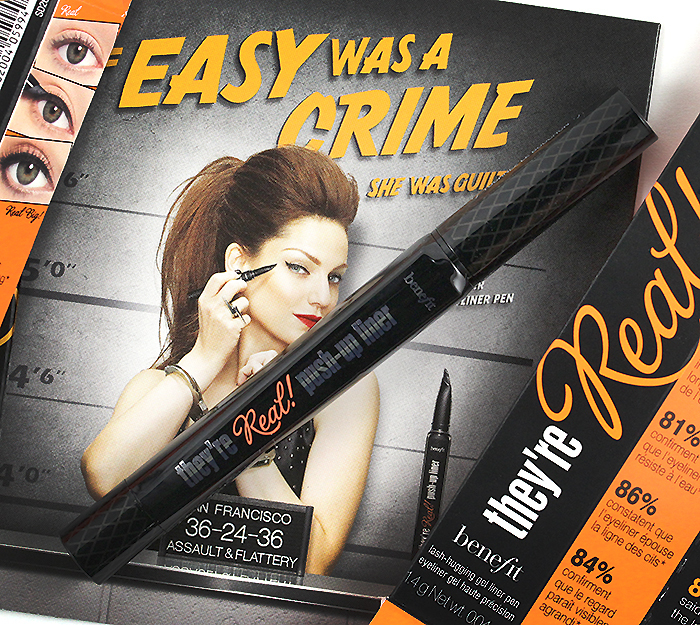 When worn without an eye primer, they do crease and fade, albeit slightly, at around 3-4 hours. The longevity greatly improves when applied over a primer as there are no signs of creasing or fading until I remove them. In the eye look below, I applied Smokey Topaz all over my lid up to the crease then followed with Espresso Bean and stopped just below the crease area. I used a small eyeshader brush to blend the two colors together. Then I picked up Espresso Bean with a pointy eyeliner brush and lined along the lash line (all the way top, outer half bottom). I finished with Pink Sparkle in the inner corner. Do you use cream shadow sticks, too? Do you tend to buy things more easily when they are mini size? I have a BB one in Golden Bronze and it’s one my favourite stick shadows. It doesn’t last as long as the Laura Mercier ones though. But I am so tempted to get this set because all 3 colours look so beautiful on you. And like yourself, I’m a sucker for taupe so that Topaz shade is calling out to me. And OMG, limited edition? Ok, I must have this set! I have a love-hate relationship with eyeshadow cream sticks. These look nice though. The look you created is super duper pretty! Yes, I buy things more easily when they’re minis. SO much more easily it’s embarrassing (but minis are so cute)! 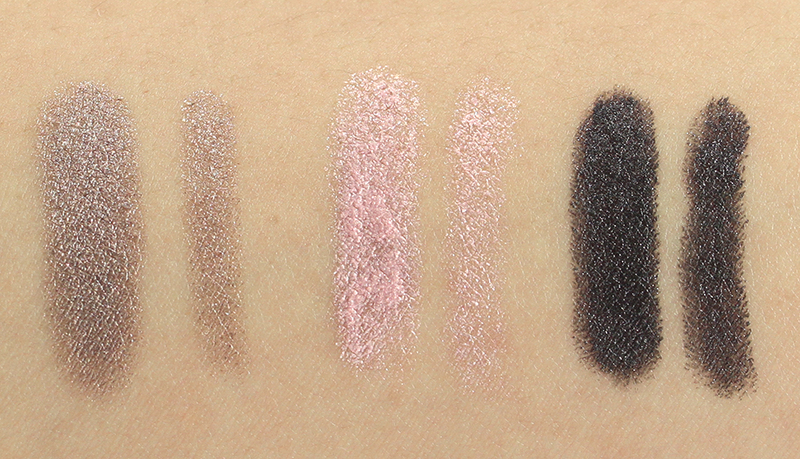 I tried one of these from their regular line, but found it takes a little more effort to blend out in comparison with other shadow sticks/cream shadows I have tried, so I haven’t tried a second one yet. I do really like Smokey Topaz, but not so much the other two (I won’t get as much use out of them I guess), so I might be skipping. 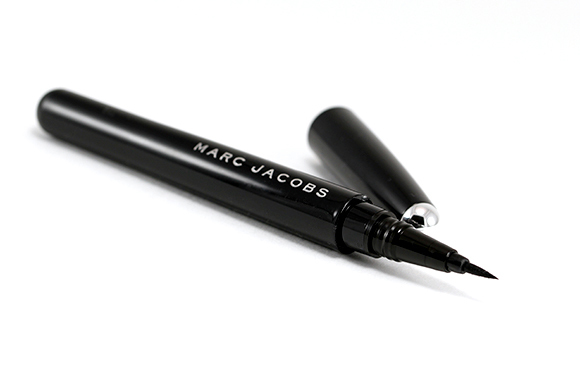 I am so eyeing their new Black Scotch gel liner though! I’d totally buy a full-sized Smokey Topaz!! Looks like everyone loves minis here! 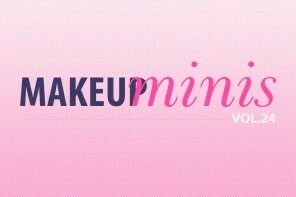 We should start a makeup company and make everything mini size. Haha. Saw some swatches of Black Scotch and even though I don’t use gel liners that come in a pot so much anymore, this one looks tempting! Will you be getting/reviewing it? I haven't tried BB ones but I have three LM Caviar sticks. While it makes great base, on its own it is more work if for more complex looks. I was so excited to see this set online but couldn’t believe my eyes when I saw how TINY this was in person! 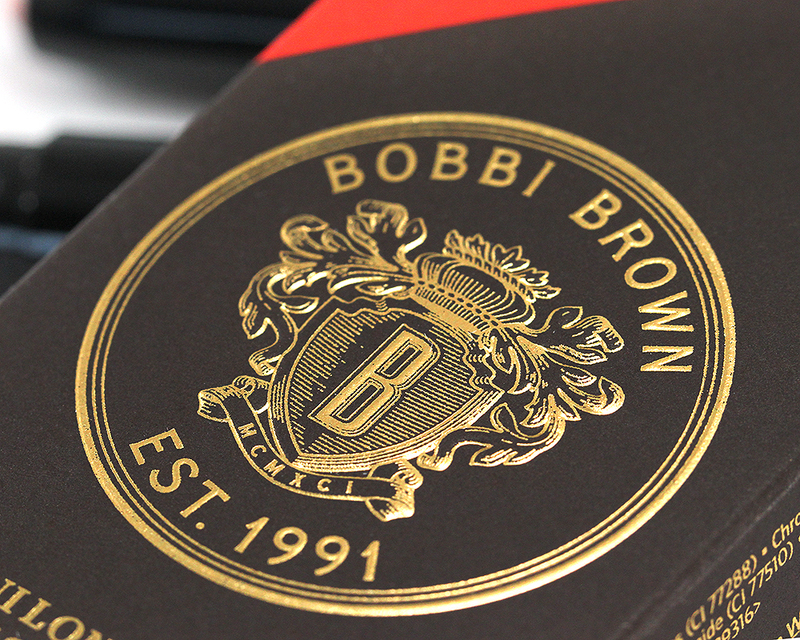 Limited ed colours or not, I have to tsk-tsk at Bobbi Brown for this. I mean, seriously. These are CAD$44 here! LOL I had the same reaction after I opened the box. IT CAN’T BE THIS MINI!!!! *^&^%%$%^((^* LOL! I love the look you created with these! This set is sitting in my Sephora cart, I think I’ll get it once I get a VIB code. I love shadow pencils! ADORABLE MINIS ARE ADORABLE. That is all. Well, it’s not all, because you know me ;-) I have to tell you how beautiful you and your makeup look are, of course! (((((((JAAA))))))). More seriously, that Smoky Topaz one is *gorgeous*. These look beautiful and oh so creamy! Smokey Topaz is just perfect as a base colour. 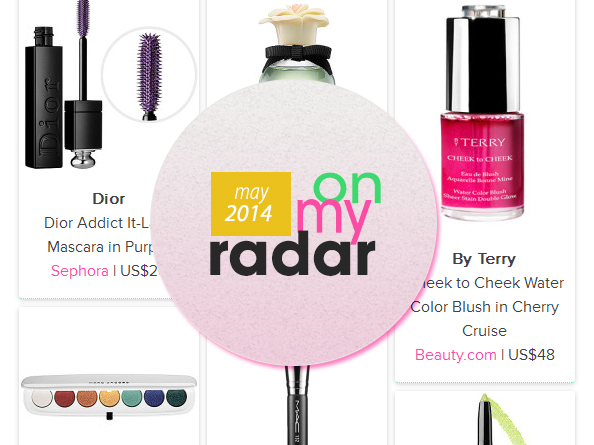 Normally I don’t go for creamy products because they have the tendency to slide all around. I really love the taupe but I’m not sure about the pink. I could make the brown work because it’s not yellow brown though! Ooh I love the smoky eye look you created with these! Pink is so flattering on you!! 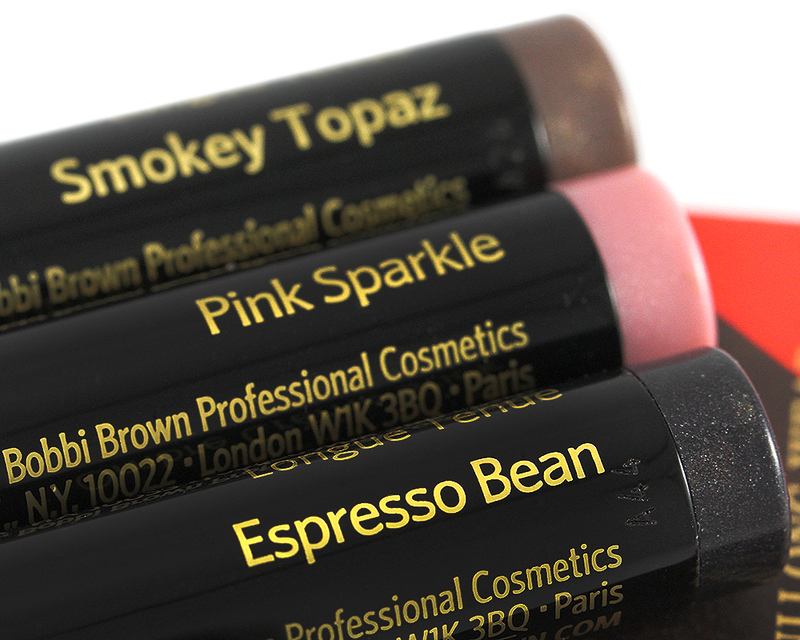 I rarely ever use cream pencils (I’m a powder shadow person in general with a few forays into creams, just out of habit) but these look very appealing. And yes, I LURVE mini sized products! I am sucker for eyeshadow sticks, these look so adorable!